Ask several women what they think is the ideal age for pregnancy, and you’ll get wildly different answers. Those who give birth in their early 20s benefit from seemingly boundless energy and iiber-resilient bodies; the 30-something new mom is grateful to have established herself in her career before taking maternity leave; the woman in early 40s delivers with a strong sense of self and few qualms about being able to afford diapers. But for every decade-related advantage, drawbacks exist. While age is a continuum-your eggs don’t instantaneously shrivel the instant you extinguish the candles on your 35th birthday cake, for example-experts have a strong sense of which broad age groups are likely to confront specific physical, emotional, financial and relationship concerns when they become mothers. While you can’t change your age, there are steps you can take to boost your odds of having a happy and healthy experience, no matter how old you are. Here’s what you need to know. Physically, you body is primed for pregnancy and its demands. Fertility is high (though 7 percent of women do encounter trouble conceiving) and the risk for complications, such as hypertension or gestational diabetes, is low. Researchers know that the younger a woman is her first baby is born, the lower her lifetime breast cancer risk is, though the exact mechanism is unknown. “The younger a woman is, the younger her eggs are, which means they are less prone to chromosomal mistakes,” says Richard J. Paulson, M.D., director of the University of Southern California Fertility Program in Los Angeles. As a result, your baby’s risk of any chromosomal abnormality (1 in 500) or of Down syndrome specifically (1 in 1,250) is relatively low. Because your eggs are so “fresh,” the miscarriage rate-12 percent in the first trimester-is the lowest it will be from this point forward (the average for all ages is up to 25 per cent). “Life experience helps us clarify what’s important and what’s not,” Bennett says. “A younger couple may find themselves ill-prepared for the stress of a new baby,” leading to arguments and marital dissatisfaction. On the upside, youth may lend a sense of fearlessness that older women, scarred by friends’ parenting horror stories, might lack. Most young moms haven’t yet had the chance to climb the corporate ladder, so they lack the career stability, nest egg or maternity benefits of women who work for a decade or longer before conceiving. Indeed, Andersen’s family took a huge financial hit. “We definitely feel we’re behind our friends who have fancy houses, nice cars and no kids,” she says. Bennett suggests that a young mom who want to get a toehold in a career while her kids are still young take online courses or work part-time. Chances are your child will grow with young grandparents, or even with great grandparents: free babysitting for you (assuming the folks aren’t off seeing the world) and oodles of opportunities for your child to feel loved. Age and maturity DON’T ALWAYS go in hand in hand with each other. Don’t let jealousy or resentment mar your new-mom experience. “Make a list of what you think you lost and build more of that into your life,” Bennett suggests. Miss going dancing with the girls on Saturday nights? Ask your partner to stay home; you can repay the favor next weeks. “A woman who has her first her child at 34 is likely, in health terms, to be 14 years younger than a woman who gives birth at 18,” says University of Texas-Austin sociology professor John Mirowsky, Ph.D., who has led research on the subject funded by the National Institute on Aging. In other words, women who gave birth in their late teens develop more health problems than those who wait until their early 30s. True, natural fertility begins to gradually decline at 30 (the infertility rate for women age 26 to 29 is 9 percent, increasing to 15 percent for 30 to 34 year olds), although the odds that fertility treatments will work remain high. But by delaying mother hood, women protect themselves from job, relationship and financial stresses that “make them biologically susceptible to disease and psychologically susceptible to poor health habits,” Mirowsky explains. And fortunately, your energy and stamina should still be high. However, many studies have found the Cesarean section rate to be nearly twice as high among women ages 30 to 34 versus those in their 20s. Miscarriage rates rise to 12 percent 15 percent. Down syndrome risk remains low until age 30, when it is 1 in 1,000 and 1 in 400 and 1 in 200, respectively. Children born to mothers who were 30 or older at first delivery are more likely effect of advanced parental education and resources, says Elizabeth Gregory, Ph.d., director of the Women’s, Gender and Sexuality studies program at the University of Houston. Your Maturity Level} You’re in a chronological hotspot when it comes to preparing for mother hood. “You still have the youthfulness of your baby 20s but are moving toward the responsibility maturity of your 40s,” observes Glazer. However, women who have spent most of their 20s in school (women account for 58 percent of adults ages 25 to 29 with advanced degrees) might want to delay pregnancy as they establish their careers. Once in 5 women in this age group will have trouble conceiving, with fertility nosediving at 38. Still, more children are now born to women 35 and older than to teenagers, according to a 2010 Pew Research Center survey. In fact, 1 in 7 U.S. birth is now to women 35 and older (in 1970, it was just in 100). 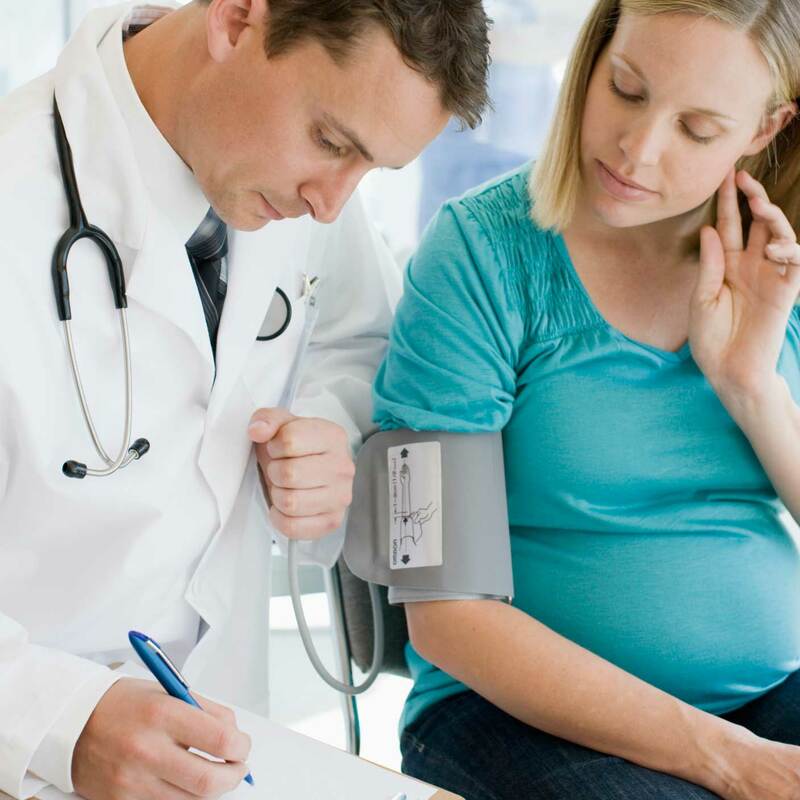 Hypertension affects 10 percent to 20 percent of pregnant women in this age group (versus 4 percent to 7 percent for women ages 20 to 25); gestational diabetes is two-three times more common in women age 35 and older than in younger women; and recent studies show the risk is even higher if the woman has gained weight over the years. Maintaining an ideal weight through exercise and healthy eating offers some protection. One in 4 pregnancies among women in the age group will end in miscarriage, and risk of chromosomal abnormalities (aside from using donor eggs), accurate prenatal screening and diagnostic tests do exist. Women age 35 and older are more likely to conceive twins, because hormonal changes increase the likelihood of multiple egg release during ovulation. But knowing yourself better means what you like, and Gregory says older women may struggle with adapting to adapting to a new lifestyle, one that may require you to skip the yoga class you’ve faithfully attended twice a week for the past decade. Combat any resentment by recasting your new schedule in a positive light: Soon you’ll be able to teach your 3-year-old how to Downward Dog. By this point, you are likely to own a home and are able to start saving for your child’s education. You’ve carved out your career niche and proven yourself at work. Lusty, who had been vice president at two public relations firms before her son’s arrival, says she didn’t fear a mass exodus of clients when she got pregnant because “they knew I’d be back.” After his birth, she worked from home-a nonexistent luxury when she was younger and trying to prove herself at an agency. Births to mothers 40 and older more than doubled between 1990 and 2008, from 50,245 to 113,576. Still, nearly one–third of women older than 40 will struggle with infertility. And rates of both pre-existing and gestational diabetes are three to six times higher.But waiting offers a silver lining: Women who have their first baby at 40 or older live longer on average, likely a result of enhanced access to medical care and financial stability. According to fitness expert Brin, the average 40-year-old will have gained 10 pounds of fat and lost 5 pounds of muscles since turning 30. “That slows your metabolism and makes it harder to bounce back after pregnancy,” she says. Maintain a regular exercise regimen during and after pregnancy and practice Kegels to counter age and weight-related pregnancy complications, such as gestational diabetes, urinary incontinence and uterine prolapse. Join a fitness center with day care and remember: Lifting children is a weight-bearing exercise. Gregory notes that many of these mom will enter menopause when their child is a teen – a double hormonal whammy that “might strike fear into a few hearts,” she says. Half of these pregnancies will end in miscarriage, and the risk of chromosomal abnormalities nearly doubles from age 35 to 40 (it’s 1 in 60 at age 40; 1 in 40 at age 42). Eldercare will be a responsibility for most children of older parents. Lighten your own kids’ futher load by purchasing long-term health care insurance for yourself, and do everything you can to stay healthy. 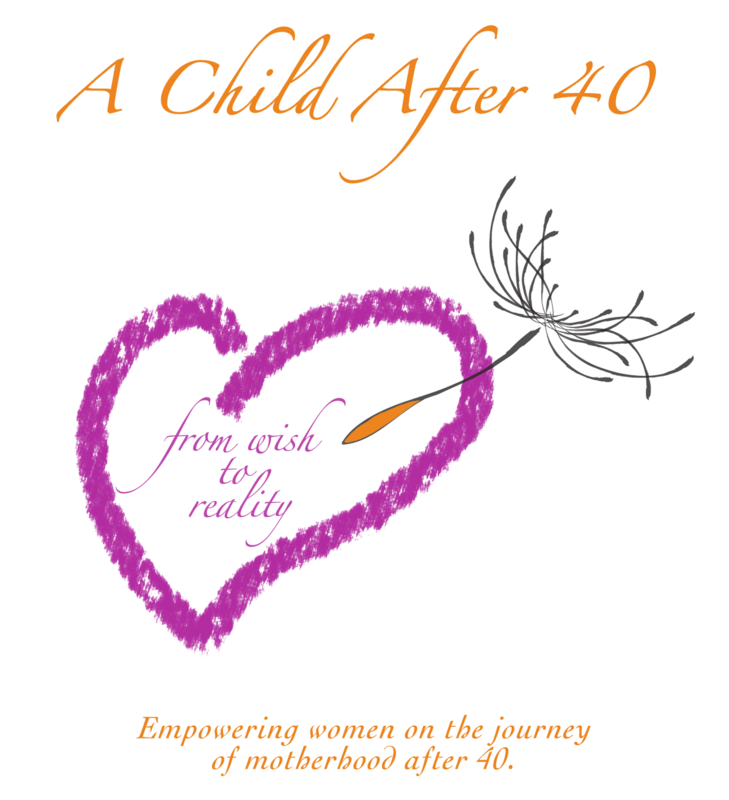 New moms over age 40 often fully embody the “I can have it all-serially” philosophy. “They feel like they’ve done the things they wanted-whether that’s climbing Mount Everest, praticising law or partying-before having kids,” Gregory says. they report feeling more comfortable in their own skin and having more patience than they did in the 20s or 30s. work and parenthood. Data indicate that women who wait to become moms are more likely than others to keep working because they’ve got the clout to negotiate flexible hours as well as a decent pay grade. But considering you’ve already been working for 20-plus years, you may feel ready to dial back a bit at work, quit working entirely for a while or even explore new career options. According to Gregory’s research, older working moms often feel more isolated in the suburbs, where many women are younger and tend to stay home with their children. Consider this if you decide to move, or consider joining a Later Moms support group. Be prepared to face some criticism along the lines of, “But you’ll be 60 when she’s in college!” “Ignore them”, Bennett advises. 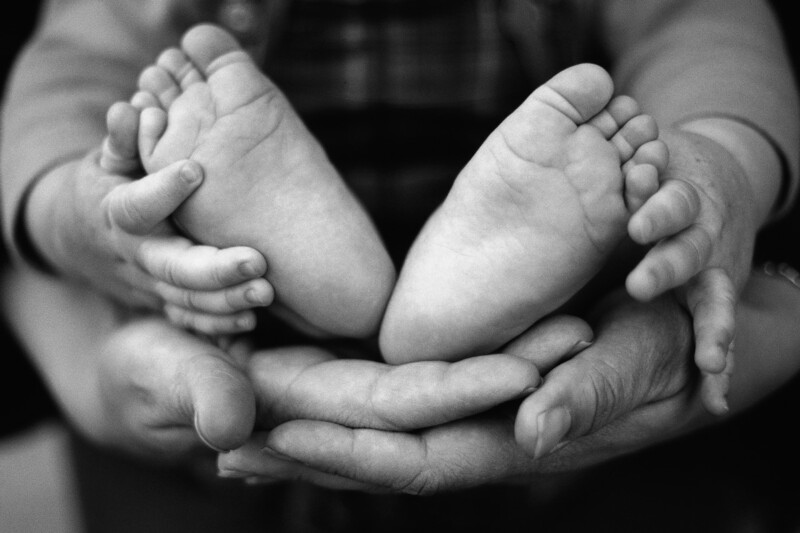 Instead, cultivate the attitude, “We’ll love this child so much and we’ll launch her into the future with other loving, caring people.” Ensure that your child will be cared for after you are gone by updating your will, establishing a trust fund and handpicking mentors in advance. “If you’re in a position to love that child and give her”what she needs, go for it and don’t let anyone tell you it’s not possible or you shouldn’t,” Bennett says. Pregnancy has no age bar.Its a blessing..If your pregnant,you need to face the horrid shopping days.Before I used to wear frumpy clothes and feel ugly. But ever since I found Morph maternity online and started wearing their maternity wear, I feel beautiful and so much more confident about my pregnant self.